Presidents’ Day + a three-day weekend = Presidents’ Day Deals! Celebrate by saving. Just make sure you book by February 18, 2019. Hotel deals: Offers valid at participating hotels only and are subject to availability. Minimum night stay may be required, and varies by property. Rules, restrictions, and black out dates may apply. See property pages for further details. Air pricing: Sample prices are quoted for one adult and include taxes and fees for round-trip travel on the promoted airline. Prices do not include baggage fees that may be charged by the applicable airline. Actual price may vary based on time/date of search, booking date, travel dates, origin, and destination. Sample prices above are updated daily; prices are found on www.Orbitz.com and quoted in U.S. dollars. Advance booking requirements, minimum/maximum stay requirements, blackout dates, and other restrictions may apply and vary by booking date, travel dates, origin city, and destination. Portions of these flights may be operated by the airlines code-share partners. Fares and rules are subject to change without notice. Seats are limited and may not be available on all flights/dates. Lower fares may be available to selected destinations. Tickets are nontransferable and nonrefundable. Read the complete penalty rules for changes and cancellations applicable to the fare you're considering booking. Orbitz Coupon – Save 10% on Selected Hotels! Qualifying Bookings: This promo code discount applies only to stand-alone select hotel bookings (not a hotel booking in combination with any other product such as flight + hotel or flight + hotel + car) made online at www.Orbitz.com that are pre-paid at the time of booking (subject to the restrictions set out in the terms and conditions below). Promo Code Value: 10% off. Maximum Discount Value: The maximum savings discount is up to $150. Redemption Period: 12:01am CT, April 1, 2019 to 11:59pm CT, April 28, 2019. Travel Period: The travel dates must be between April 1, 2019 and December 31, 2019 (inclusive). • You must make your hotel booking online with Orbitz.com. • Search for a hotel for your desired stay dates, within the travel period given above. • During the booking process, on the payment page you will see the link “Enter coupon or promo code” where you can enter the promo code. • Enter the promo code code in the relevant field and then click the “Apply” button. If your booking is eligible, the applicable discount will be subtracted from the price of the travel reservation before the application of any taxes, applicable fees or additional costs. • This offer does not apply to multi-room bookings. 1. Subject to the restrictions set out in these terms and conditions and compliance with the above, the promo code may be applied to a pre-pay stand-alone select hotel only booking (not a hotel booking in combination with any other product such as flight + hotel or flight + hotel + car) made online at www.Orbitz.com. The promo code can only be used for pre-pay bookings and cannot be redeemed against bookings which are paid at the destination. 2. The promo code cannot be redeemed against hotel stays at: Amara, Amari Hotels and Resorts, AMResorts, Archer Hotels, Aston Resorts, Corinthia Hotels, Emaar Hotels, Fairmont, Fortune Hotels, Four Seasons Hotels & Resorts, Furama, Hilton Worldwide, Hotel 81, HV Hotels, Hyatt, IHG, Independent, Kempinski Hotels and Resorts, La Quinta, Lowes, Mandarin, Mandarin Oriental Hotels Group, Mariana Bay Sands, Marriott, Meritus, Millennium, Movenpick Hotels and Resorts, Omni, Playa, RIU Hotels, Raffles Intl Hotels and Resorts, Rosewood Hotels, Sandals Resorts, Scandic Hotels Chain, Starwood, Swiss Quality Hotels, Swissotel, Taj Hotels Resorts & Palaces, The Leela Palace, The Peninsula Group, Thon Hotels, Venetian Macau, and Vinncci. The list of hotels for qualifying bookings may change at any time. 3. The promo code may only be used in relation to the first room booked on an eligible single booking. This means that where the eligible booking includes more than one room, the promo code will only be applied against the first room in the booking. 4. Customers are limited to two (2) redemptions of this promotion code and up to a maximum savings of $150 per booking. After those two bookings, this promo code will not be able to be used again, even if one or more of those bookings is cancelled. 5. The promo code cannot be redeemed against taxes, supplier fees, cancellation or change fees/penalties, administrative fees or other miscellaneous charges, which are the sole responsibility of the customer. 6. Usual booking terms and conditions apply (see http://www.orbitz.com/p/info-other/legal.htm) and all bookings are subject to availability. 7. The promo code may not be used or combined with other coupons, promotions or special offers. 8. The promo code cannot be used for any booking previously made. It will be deemed fully redeemed once a qualifying booking has been made. The promo code has no cash value and no refunds or cash alternative will be offered. There is no residual value and no credit will be issued if the purchase amount is less than the promo code discount. The promo code may not be re-used, even in the event that you change or cancel the booking. 9. The promo code is void where prohibited by law and may only be used by legal residents of the US aged 18 and over. 10. Message and data rates may apply. Please consult your wireless service provider regarding their pricing plans. Not all wireless service providers carry the necessary text message service to participate. Check your wireless devise for specific text messaging instructions and capabilities. 11. 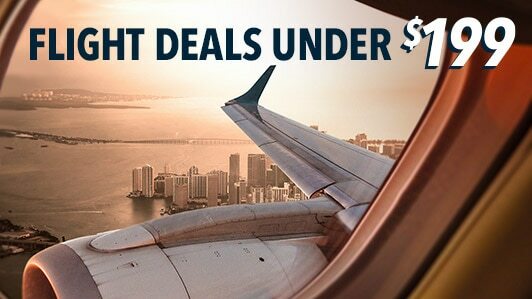 The promo code may not be used by employees of Expedia Group companies (including Orbitz) or any other person professionally connected with this offer including, without limitation, travel agency affiliate program partners. 12. Improper use of the promo code by you including but not limited to publication or selling of the promo code is prohibited, will result in the voiding of the promo codes use, and may constitute fraud. 13.This promo code may not be transferred or sold. Promo codes obtained through unauthorized channels, mutilated, altered, copied, forged, damaged, manipulated, or tampered with in any way will be deemed void. 14. Orbitz reserves the right to change or withdraw this offer at any time and to cancel any bookings made where the coupon was improperly obtained or used to make any speculative, false, or fraudulent bookings. 15. This offer is from Orbitz. 16. Terms and conditions of this coupon are as written and cannot be changed by any representation of any unauthorized person, including employees of Orbitz. These terms and conditions shall be governed by and construed in accordance with the laws of Washington State, USA.